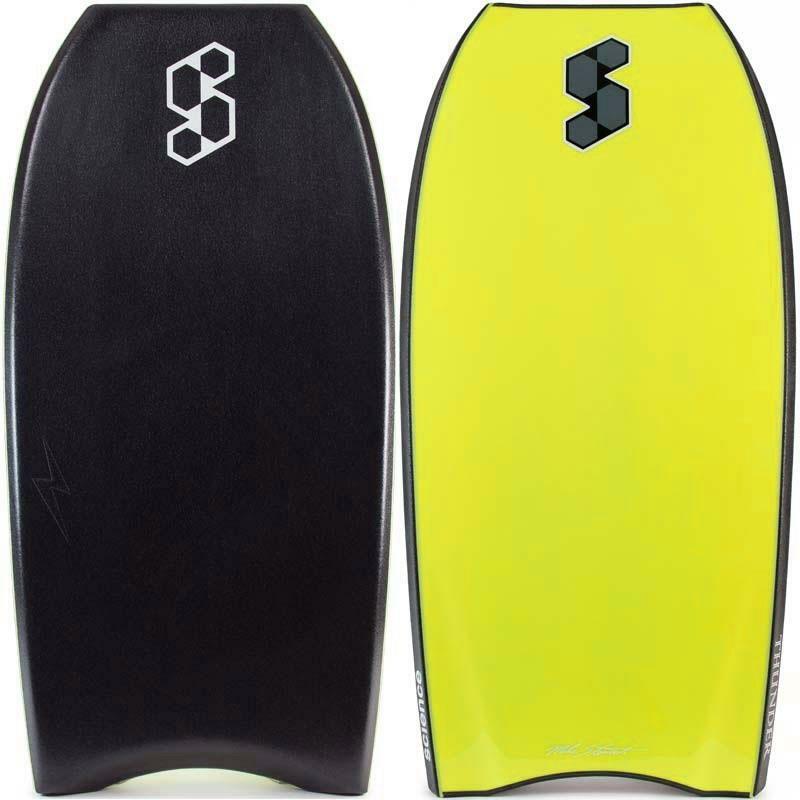 Science Bodyboards Thunder 45' Polypro Core 2018/19 Model. 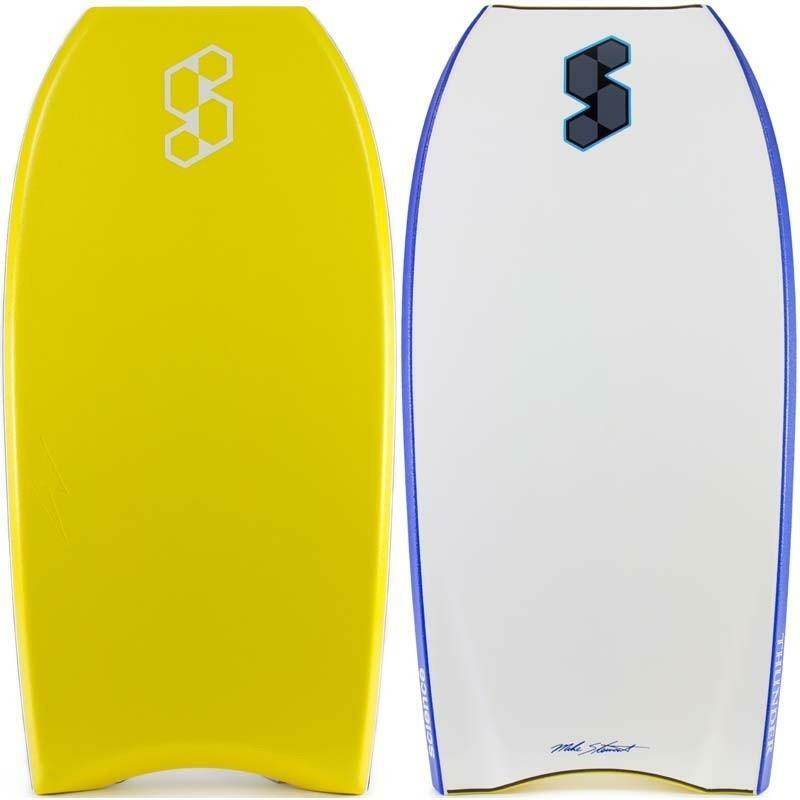 Designed by Mike Stewart, arguably the most respected and well known wave rider of all time, is the man behind Science Bodyboards. With over 30 years experience riding the best waves on the planet you can be sure you're getting the best board possible when you ride a Science Board. A board designed for bigger riders after performance & durability. 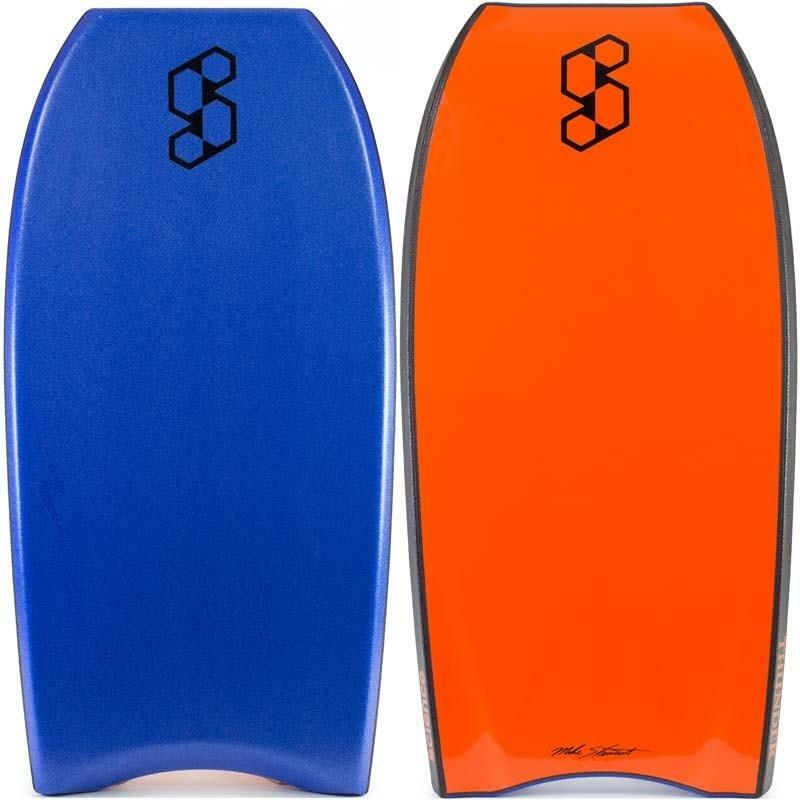 With a thickened Polypro Core/Dual Stringer combo, this board will hold up to almost anything. Designed for the guys 6ft+ and weighing in 100kgs+. It's a great board with a perfect template that will last. including instant recoil, added projection, enhanced longitudinal stiffness & awesome compression strength. 100% waterproof. © 2018 Bodyboard King Pty Ltd. All rights reserved.